Treating difficult stains eg wine, rust, gum, lipstick, koki pen etc. The Chem-Dry ® process removes 98% of allergens from carpets and upholstery and 89% of airborne bacteria, improving indoor air quality. Curtain cleaning on the rail. 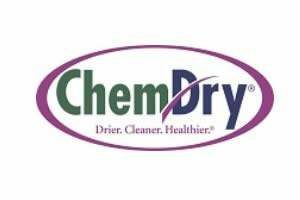 Visit www.chemdryfranchise.co.za for full list of areas available. Initial Franchise fee of R48,500.00 which includes for all training and training material. Investment of R150,000- R200,000 depended on the class of franchise applied for. This includes for all equipment, start up chemicals an advertising material. Area you are interested in? Enquiry - Questions for the franchise business you are contacting? Your e-mail address is used to send you our weekly Newsflash and information about the activities of FASA Franchise Association of South Africa. You can always use the unsubscribe link included in the newsletter.